Indian actress and television presenter Nisha Ganesh rose to fame after portraying Draupadi in the TV series Mahabharatham. She has hosted several TV shows like Sun Singer, Surya Vanakkam and Kitchen Galatta. She is also known for playing the female antagonist as Sathya in the TV drama series Nenjam Marappathillai. She changed her surname to Ganesh Venkatraman after her marriage with him. Nisha Ganesh was born on 28 June 1986, in Chennai, Tamil Nadu, India. 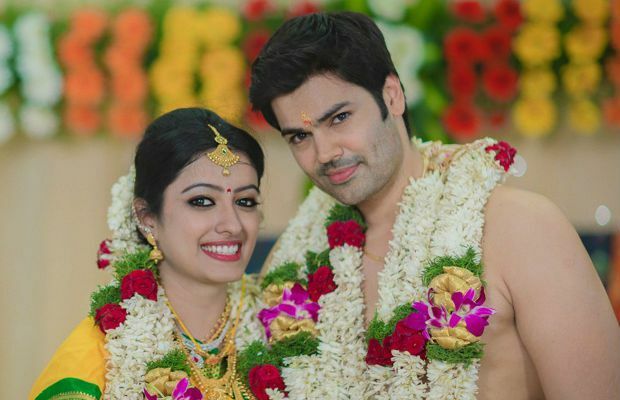 Nisha Krishnan got engaged to actor Ganesh Venkatraman in February 2015, and they subsequently married on 22 November 2015. Nisha Ganesh made her silver-screen debut in the 2013 Tamil vigilante film Ivan Veramathiri playing lead character Vikram Prabhu’s friend. She has since appeared in a number of movies in supporting role. Her first starring role was as Divya in Star Vijay’s Kana Kanum Kalangal Kallooriyin Kadhai from 2011 to 2012. Having portrayed the lead role of Draupadi in the TV series Mahabharatham as well as hosting shows on Sun TV. She has appeared in many TV commercials. She is one of the popular artists in the entertainment industry, not to mention her massive popularity on Instagram where she has accumulated over 236K followers. Nisha is currently playing the female antagonist as Sathya in Nenjam Marappadhillai serial along with Amit Bhargav and Saranya in Star Vijay. She was one of the contestants in the Tamil reality show, Mrs. Chinnathirai, but she opted to quit the show in midway to focus on her other projects. Her film credits include Ivan Veramathiri, Naan Sigappu Manithan, Enna Satham Indha Neram, Bench Talkies – The First Bench, Chennai Ungalai Anbudan Varaverkirathu and Vil Ambu.